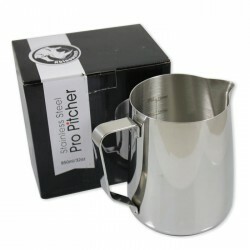 Measurements etched right into the interior of both sides of the pitcher. 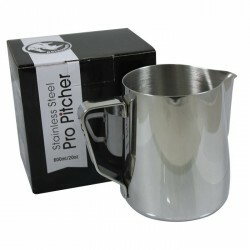 The scale is etched in both ounces and millilitres to reduce the guess work when pouring milk. 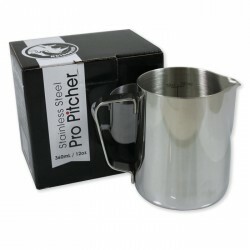 The Rhinowares pitchers are thick - 1mm food-grade stainless steel provides better stretch time for texturing milk. Ideal for the 12oz and 20oz sizes. The heavier weight lends to its durability and professional feel. 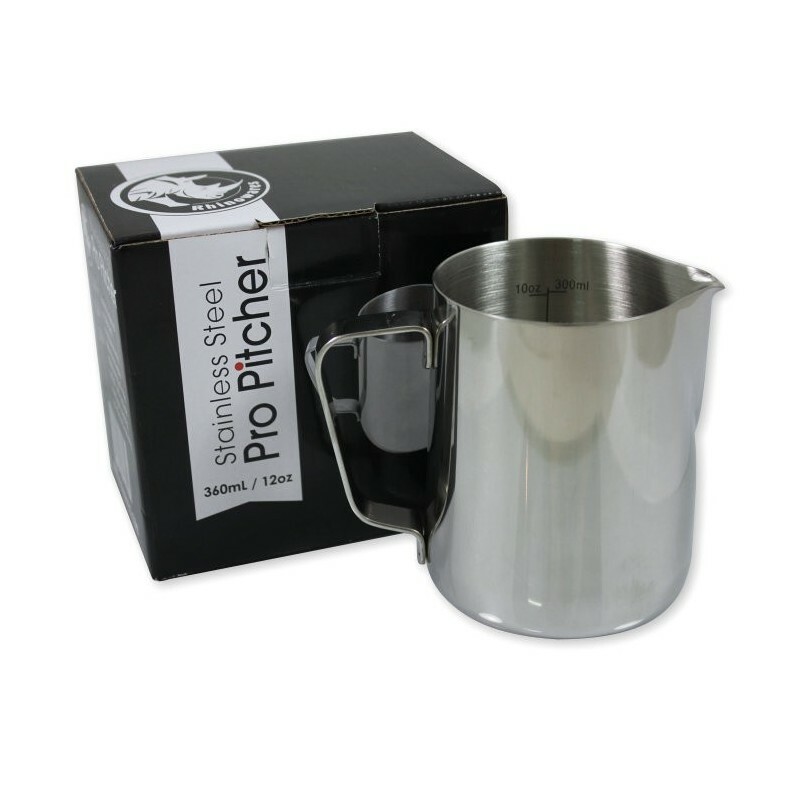 Each milk pitcher weighs approximately 500 grams empty.